The importance of remembering and freeing political prisoners is exemplified in the case of Nelson Mandela, who endured 27 years in a South African prison, and emerged to not only preside over the dismantling of apartheid, but to become President of the first democratic, egalitarian, non-racial South Africa. It is a testimony – as is Raoul Wallenberg – to how one person with the compassion to care and the courage to act can transform history. Accordingly, we must come to the defense of major political prisoners, wherever they are, standing in solidarity with them and not relenting until they are freed. Raif Badawi has been languishing in a Saudi prison since his arrest in 2012, and his subsequent sentencing in 2014 to 10 years imprisonment and 1000 lashes, itself constitutive of torture and a standing violation of International Human Rights Law. Badawi's "crime"? Establishing an online forum and exercising his right to freedom of expression. Despite Saudi Arabia expressing an interest in reforming and modernizing, Raif Badawi – an advocate of liberalism and tolerance, and the champion of these changes – remains imprisoned and separated from his wife and three children, now citizens of Canada. Venezuelan democratic opposition leader Leopoldo López has been detained since February 18, 2014, targeted as part of a crackdown on peaceful protests that left 43 dead, 3,000 detained, and scores of political prisoners. His cruel and inhumane imprisonment was the result of a sham trial – underpinned by the state-sanctioned persecution and prosecution of democratic leaders – and where the Regime acknowledged in its own indictment that López repeatedly and publicly called for peaceful, non-violent action to secure change to the country within the parameters of Venezuela’s Constitution. Dr. Wang Bingzhang – Leader of the China Overseas Democracy Movement – was illegally abducted from Vietnam, wherein he was convicted of trumped-up charges and sentenced to life imprisonment in solitary confinement in China. This grievous sentence followed a sham trial – held in secret for only a day – at which he was denied the right to speak, and the right to counsel. Undergoing torture in detention has caused Dr. Wang to suffer several debilitating strokes and other severe physical and mental disabilities, which worsen as he continues languishing in prison. Sun Qian is a Canadian Falun Gong practitioner, arrested on February 19, 2017, in Beijing and imprisoned on false charges. Denied her right to freedom of religion and belief, she has been jailed solely for her belief in Falun Gong – a peaceful meditation discipline centred on the values of truth, compassion, and tolerance – and whose practitioners are brutally persecuted and prosecuted by Chinese Authorities. Ms. Sun has been tortured in detention, and her fundamental rights violated. Alexey Pichugin is the longest-serving political prisoner in Vladimir Putin’s Russia. Pichugin was arrested on June 19, 2003 – the first strike in Putin’s kleptocratic campaign to unlawfully expropriate the Yukos Oil Company – and imprisoned in the notorious Black Dolphin FSB jail. A mid-level manager at Yukos, Pichugin was tortured in detention and encouraged to provide false testimony against CEO Mikhail Khodorkovsky, who was targeted for his human rights and pro-democracy leadership. Pichugin has been languishing in prison for 15 years, based on an unfair trial that the European Court of Human Rights ruled was a violation of International Human Rights Law. The Court – echoing many independent and indisputable voices for justice and human rights around the world – have called for his release. Leila de Lima is a lawyer, human rights activist, former Chairperson of the Philippine Commission on Human Rights, former Philippine Secretary of Justice and current member of the Philippine Senate. She is an ardent critique of the Philippine Drug War having repeatedly called for, and participated in, investigations into the commission of extrajudicial killings. Her courageous advocacy for the rule of law and opposition to President Duterte’s human rights violations have led to fabricated and politically motivated charges against her. As a result, she has been languishing in jail since February 24, 2016. 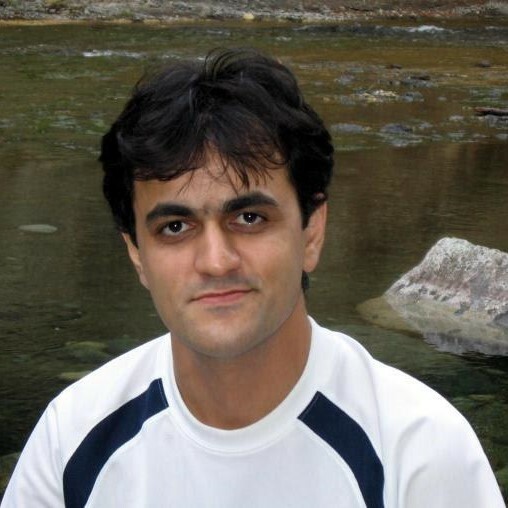 Web designer Saeed Malekpour, at the time a Canadian Permanent Resident, was arbitrarily arrested in 2008 when visiting his ailing father in Iran. Targeted as part of a crackdown on freedom of expression online, Malekpour was convicted of “crimes against Islam” and “spreading corruption on Earth” – which have emerged as classic trumped-up charges in the Iranian pattern of the criminalization of innocence. Initially sentenced to death, and later commuted to life imprisonment, Malekpour is now enduring his 10th year of unjust imprisonment and torture in detention. Ayatollah Hossein Kazemeyni Boroujerdi has been imprisoned and tortured in detention since October 8, 2006, representing a case study of prisoners of conscience. He has advocated for religious freedom, leading benediction ceremonies in the presence of Shi’ites and Sunnis, Christians, Jews, Zoroastrians and the Baha’i. Boroujerdi has also advocated for adherence to the Universal Declaration of Human Rights, calling for the abolition of capital punishment and for an end to cruel, inhuman and degrading treatment or punishment such as torture, stoning and whipping. Initially sentenced to death after a sham trial, his sentence was commuted in August 2007 to eleven years in prison. Despite having served the mandated prison time, Ayatollah Boroujerdi remains under house-arrest. He is currently being denied urgent medical care, a form of passive execution. Maryam Mombeini – the wife of Professor Seyed-Emami who the Iranian regime purports, without evidence, committed suicide after his arrest and detention in the notorious Evin Prison – is a Canadian citizen who was barred from leaving Iran on a Canada-bound flight with her sons, also Canadian citizens, Ramin and Mehran Seyed-Emami. The seizure of her passport and her continued detention in Iran – a direct consequence of her expressing doubt regarding her late spouse's purported suicide – reflects the pattern of intimidation, harassment, abuse and potential imprisonment the family members of former political prisoners experience on a ongoing basis. Physicist, journalist, and Human Rights Defender Narges Mohammadi was first arrested in 2009 and unjustly sentenced to 11 years in prison for the false charges of “assembly and collusion against national security,” “membership in the Defenders of Human Rights Center,” and “propaganda against the state.” Following immense international pressure, her sentence was reduced to six years and she was released from Zanjan Prison upon appeal in 2013. However, she was arrested again on May 5, 2015 – targeted for continuing her advocacy for human rights in Iran – and sentenced in September 2016 to 16 years of imprisonment. Her peaceful human rights leadership has included campaigning for women’s rights, pluralism and tolerance, and against the death penalty and torture. Nasrin Sotoudeh – a brave human rights lawyer, defender of women's rights, children's rights and journalists – symbolizes the Iranian regime's systematic pattern of persecution and prosecution. First imprisoned in 2010 sentenced to 11 years in prison – later released after three years due to international outcry – for defending the vulnerable, including those arrested during the Green Movement uprising, in 2009. The criminalization of her innocence continued more recently as she was, in Kafkaesque fashion, convicted in absentia on trumped up charges for her defense of the courageous women who took part in the Girls of Revolution Street protest unveiling in defiance of the compulsory hijab dress code. Since her imprisonment, Nasrin languishes in prison alongside the political prisoners she readily defended before becoming one herself. There are currently close to 100 members of the peaceful Baha’i religious minority who are unjustly imprisoned in Iran. This abusive treatment – underpinned by violent repression and institutionalized discrimination – is part of a state-orchestrated program of discrimination vis-à-vis members of the Baha’i faith which treats them as non-citizens with no standing in society. Indeed, the seven appointed leaders of the Baha’i in Iran – known as the Yaran – were unjustly imprisoned in 2008 for peacefully exercising their right to freedom of religion and their community leadership roles. While six of the seven were released over the course of 2017 and 2018, Baha’is in Iran and their leaders continue to be targeted victims of Government rights abuses. Freedom isn't free. Support the Wallenberg Centre.